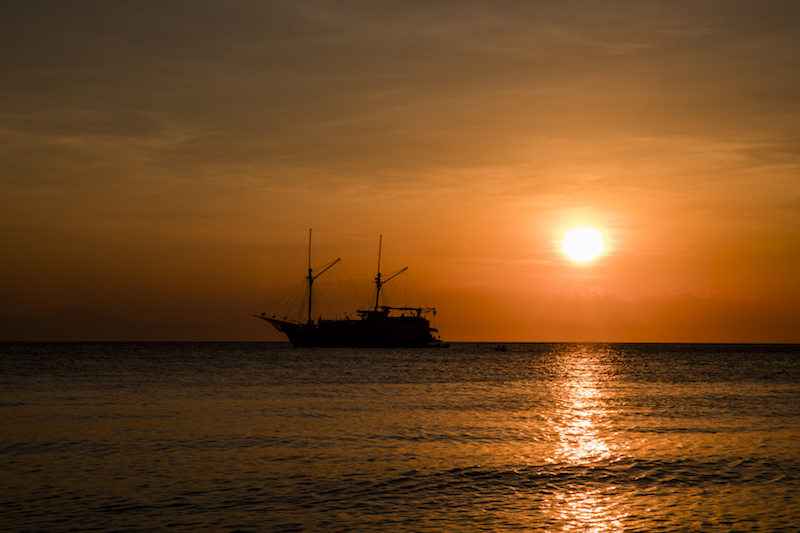 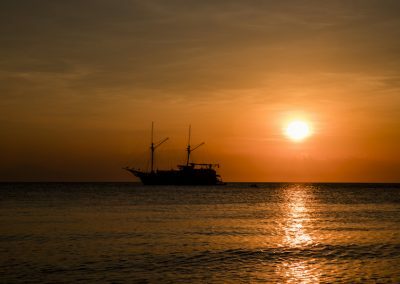 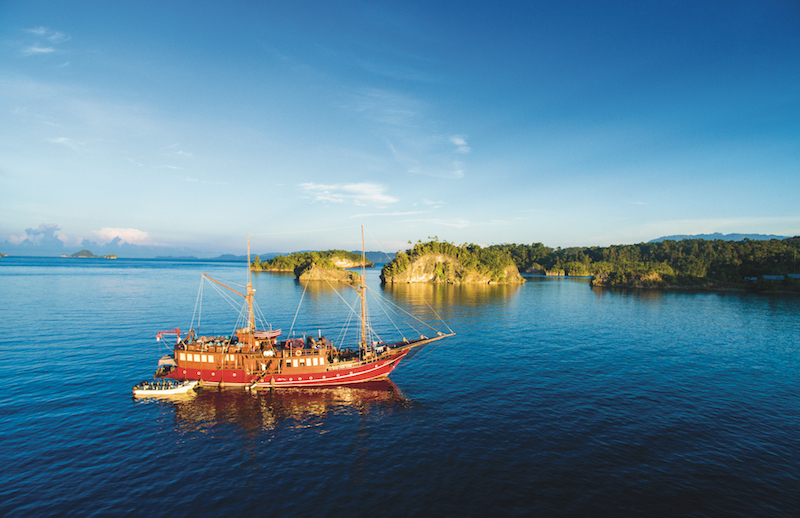 Explore the Indonesian archipelago and treat yourself to some 5 star accommodation along the way. 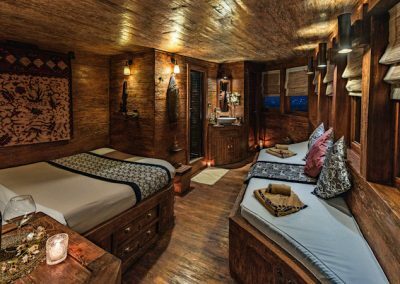 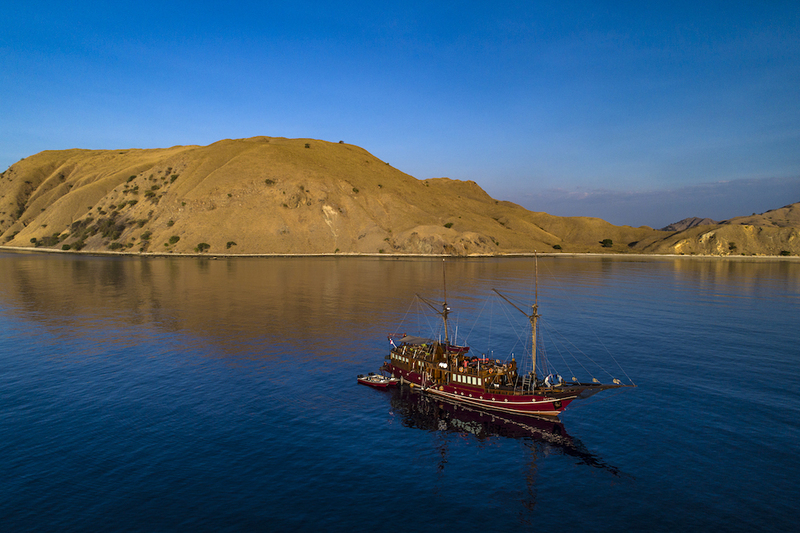 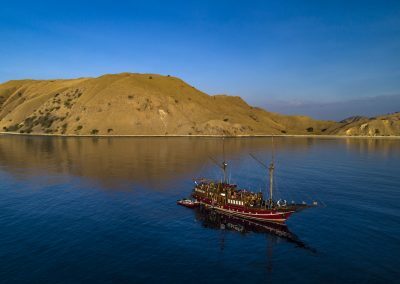 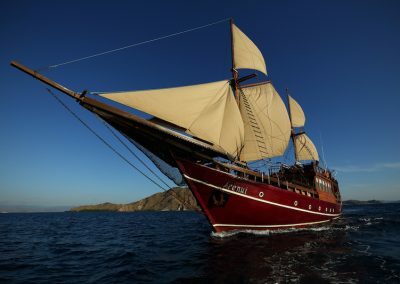 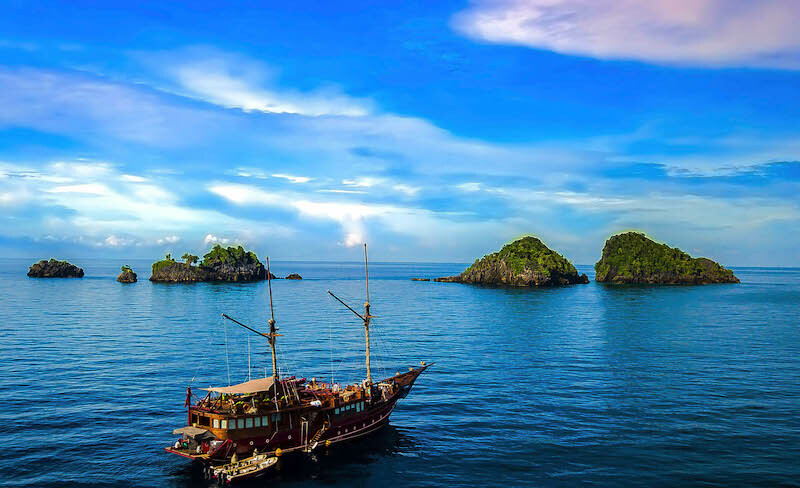 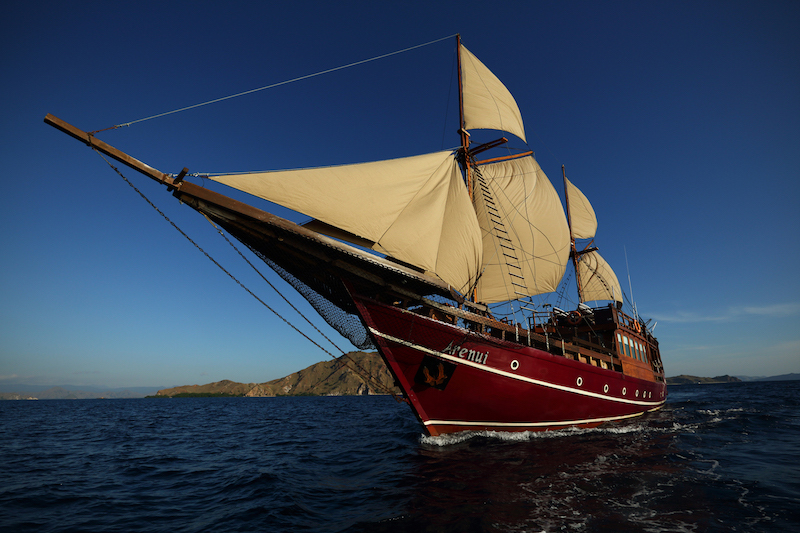 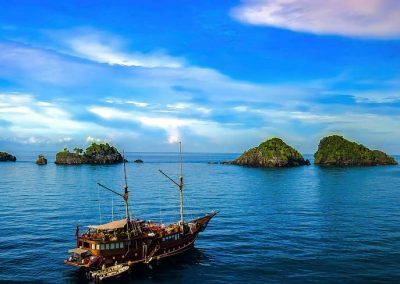 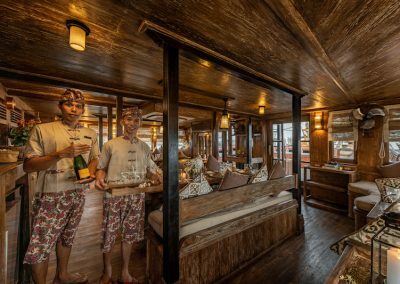 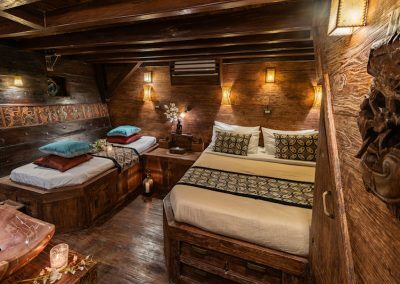 The Arenui Boutique Liveaboard is a traditional Phinisi, a classic Indonesian wooden sailing vessel, and a work of art in itself. 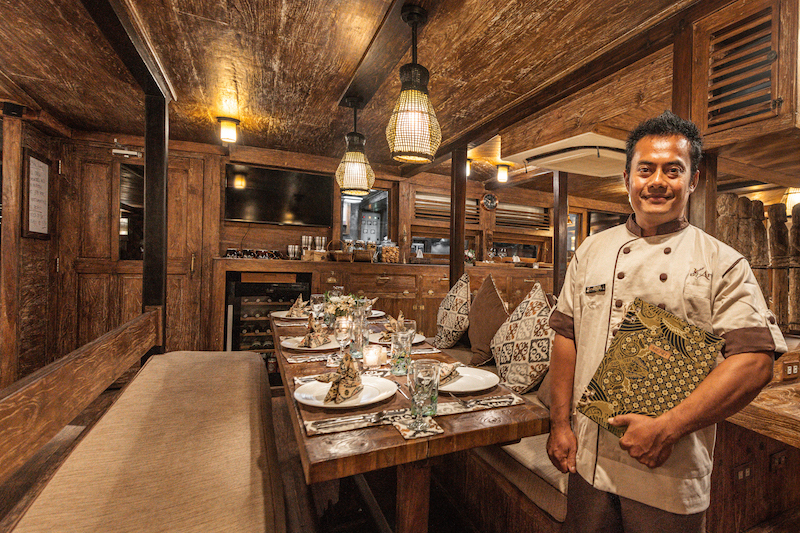 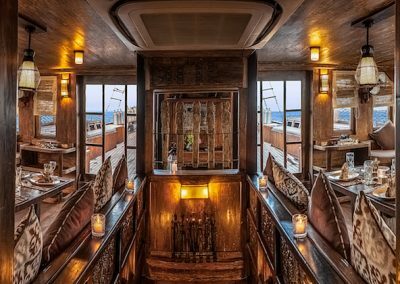 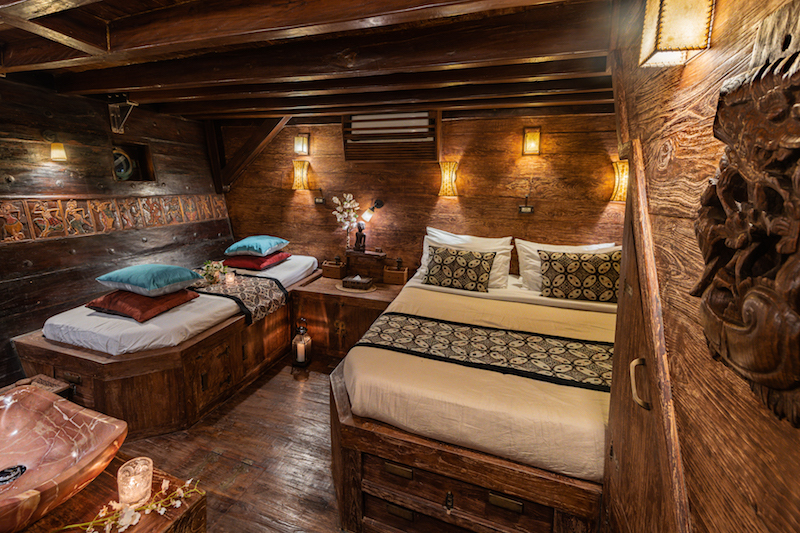 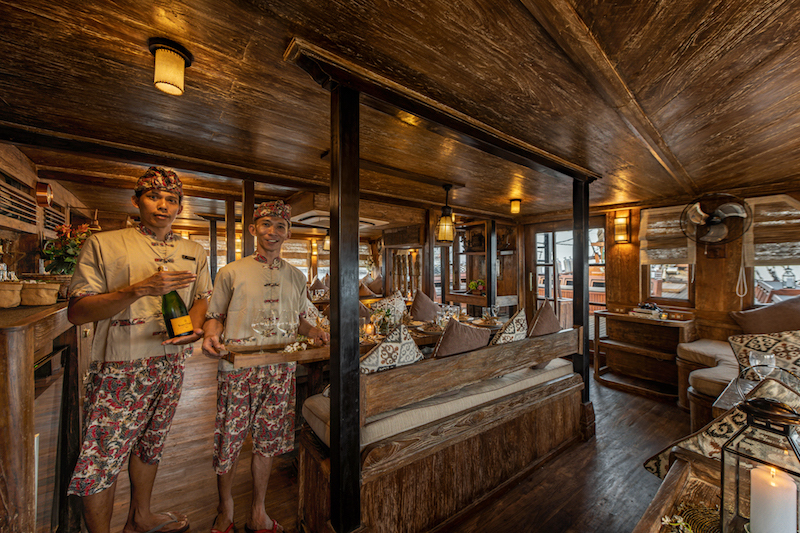 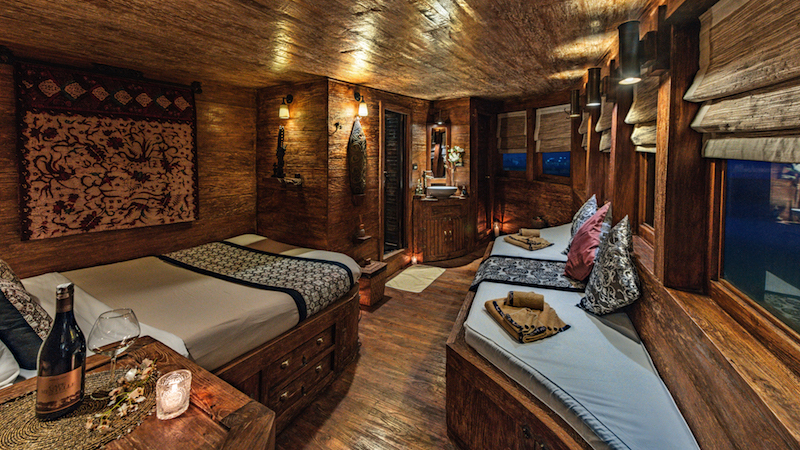 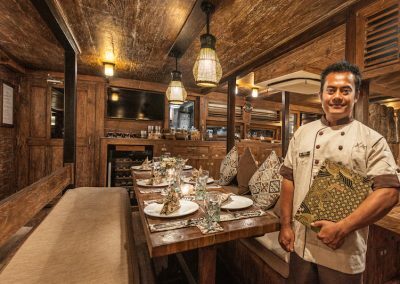 As you unwind in exceptionally spacious cabins, tastefully furnished with exquisite handicrafts from each of the Indonesian provinces, rest easy knowing the boat used 70% recycled wood. 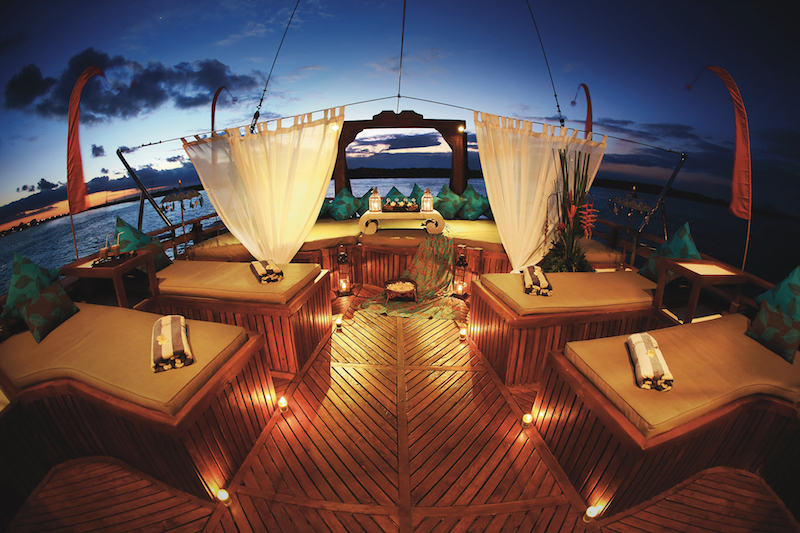 Relax with professional massage and spa treatment or enjoy the view from the fabulous skydeck. 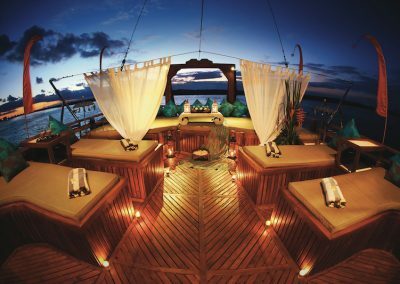 Arenui believes that, even when sailing around remote islands, there’s no reason to forego fine dining – offering sumptuous buffets but also daily a-la-carte menus. 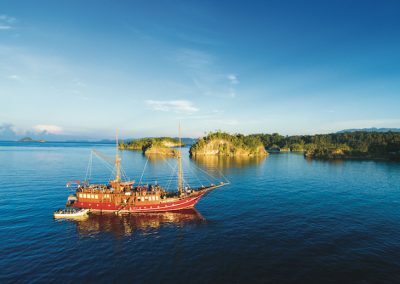 When it comes to the dive itineraries, the Arenui has chosen the best dive sites and the best times of year to explore these world famous destinations. 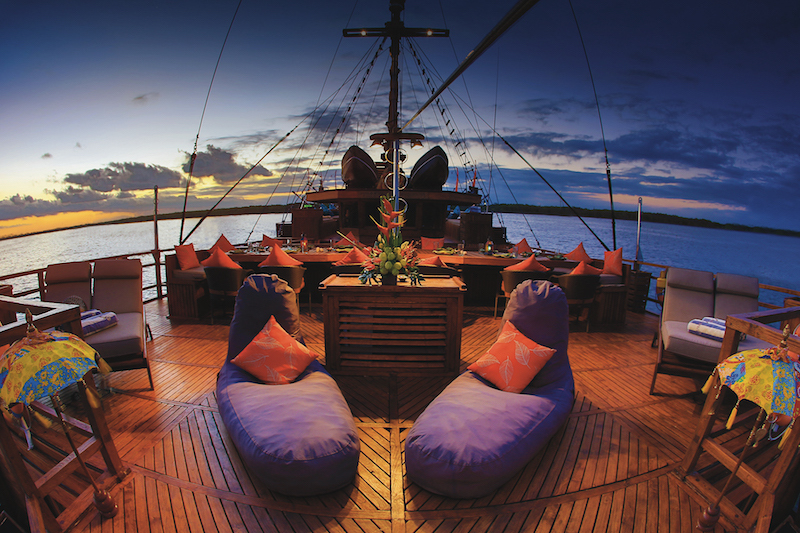 With 23 crew (including 4 western cruise directors and 4 local dive guides) serving a maximum of 16 guests, enjoy a truly relaxing and first-class experience: Join us soon!